Student success should be a teacher's number one priority. For some students, success will be getting a good grade. For others, it might mean increased involvement in class. You can help all of your students attain their full potential, regardless of the way they measure success. Following are eight strategies that you can employ to help students succeed. Cultivate an academic environment in your classroom by setting high, but not impossible, expectations for your students. Push students to achieve higher standards and they will eventually get there—and along the way, offer lots of praise. Some may take more time than others, but all students want to be told, "You're smart and you're doing a good job." Give high school students college material to read and tell them, "This story/book/math concept is taught in first-year colleges around the country." Once the students tackle and master the material, tell them, "Good job students—I knew you could do it." One of the key ways to help young children behave at home is to create an effective and consistent schedule for them to follow. Without this type of structure, young children often end up misbehaving. Secondary school students are no different. 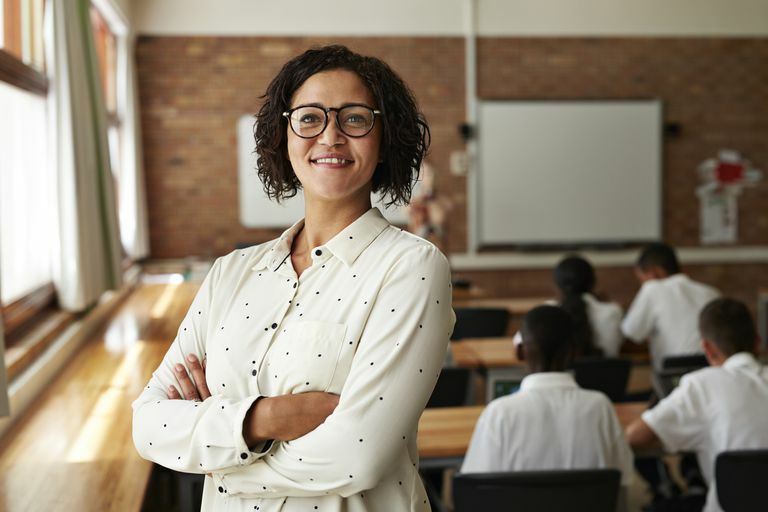 While classroom procedures often take a bit of time and effort to implement at the beginning of the school year, once established, they create a structure that will allow you to focus on teaching rather than handling disruptive issues. Classroom management should also become a part of the daily routine. If rules have been made clear from day one, rules and consequences are posted throughout the classroom, and you consistently tackle any and all problems as they arise, students will fall in line and your classroom will run like a well-oiled machine. Do the same opening activity during the first five minutes of class and the same closing activity the last five minutes so that students know, "OK, it's time to start class, or, "It's time to get ready to leave." It could be something as simple as having students get out their classroom materials and sit at their desks ready to begin at the start of class and putting away their materials, sitting down and waiting for the bell to ring at the end of class. If you are consistent with your daily fives, it will become second nature to your students. Establishing routines like this will also help when you need to get a substitute. Students don't like to deviate from the established norms and will become advocates in your classroom to make sure things run smoothly. New ideas and research that can enhance your day-to-day teaching become available yearly. Keeping up with the latest information through online forums, workshops and professional journals can make you a better teacher. This will lead to increased student interest and greater success. In addition, teaching the same lessons each school year can become monotonous over time. This can result in uninspired teaching. Students will definitely pick up on this and become bored and distracted. Including new ideas and teaching methods can make a huge difference. Bloom's taxonomy provides teachers with a great tool that they can use to measure the complexity of homework assignments and exams. Moving students up Bloom's taxonomy pyramid and requiring them to apply, analyze, evaluate and synthesize information will result in an increased use of critical thinking skills and a greater chance for authentic learning. Bloom's Taxonomy can also help you move students from a basic understanding of concepts to asking more complex questions like: "What happens if?" Students need to learn how to go beyond the basic facts: who, what, where and when and question the world around them. They should be able to explain their answers as to why they feel a certain way about a concept, posit changes they would make and explain why. Climbing the Bloom's Taxonomy ladder can help students do just that. When you vary teaching methods, you provide students with a greater opportunity to learn. Every student has different strengths and weaknesses. Instead of just focusing on one method that only appeals to a single learning style, varying your teaching techniques allows you to cater your lessons to different learning styles. Students will be more successful if they are not bored. For example, instead of lecturing for an entire 90-minute class, do 30 minutes of lecture, 30 minutes of work—involving as much music, videos and kinesthetic movement as possible—and then 30 minutes of discussion. Students like it when you change things up and they're not doing the exact same thing every class period. This might seem obvious, but every year, do a gut check concerning the students in your class. Are there any students you have written off? Are there students who are difficult to reach or who just don't seem to care? Students can sense your feelings about them, so be very careful with your own beliefs. How to succeed in your class should be easy for all students to understand. 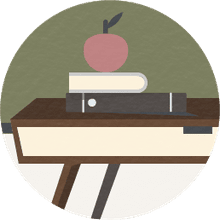 Provide students with a syllabus at the beginning of the year that explains your grading policies. If you assign a complicated or subjective assignment such as an essay or a research paper, give students a copy of your rubric beforehand. If students participate in science labs, ensure that they understand exactly how you will be grading their participation and their work. For example, if you just toss a C- on an essay but you haven't edited it or explained why the student got that grade, your student has no buy-in and will likely put little effort into the next assignment. Make students check their grades frequently, or provide them with printouts so they're constantly aware of where they stand in your class. If they've fallen behind, meet with them and create a plan to usher them toward success.